Jonathan has just arrived at Slabhenge Reform School to serve time for a crime he won't discuss. The school is only reachable via a small boat as Slabhenge is a stone fortress built around an ancient lighthouse. The headmaster of the school is a cruel man who enjoys punishing the boys and feeding them fairly disgusting food while he feasts. 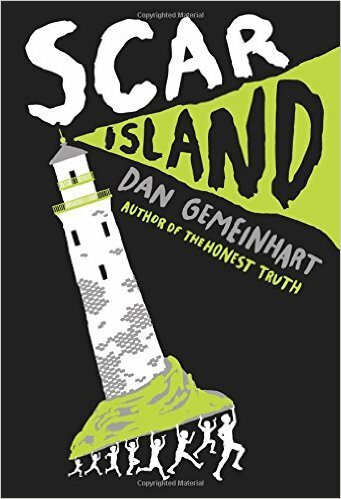 Shortly after Jonathan arrives, however, a freak accident kills all the adults on the island and the boys decide to keep that a secret for a few days while they enjoy their unsupervised time. But someone has to be in charge - don't they? And will the new boss of Slabhenge be any better than the previous one? This short book is loaded with creepy atmosphere. I could feel the gloom and decay of Slabhenge pressing in on me as I read. The Lord of the Flies comparison is accurate but the boys are not all good nor all bad. Even the worst boy has some redeeming qualities which Gemeinhart uses Jonathan to point out to us as readers. It is not a book my students are likely to pick up on their own, but it will be a winner when I sell it to them.